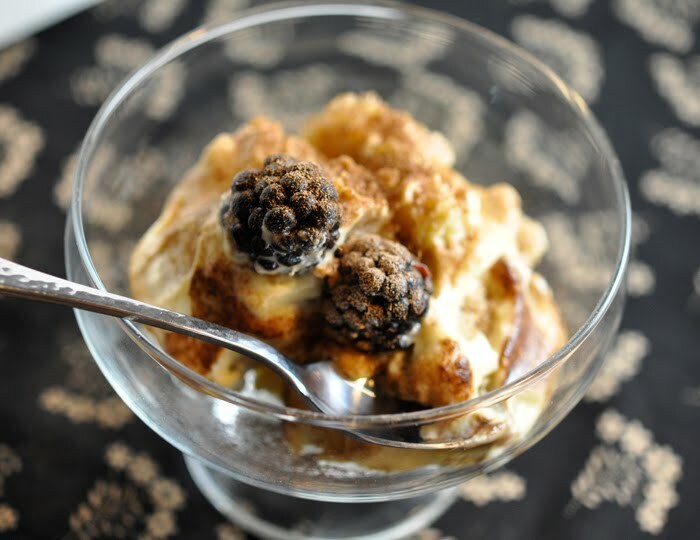 Oh, who has not heard of Tiramisu, the modern Cesar of Italian desserts? It has conquered its native country in a storm, taken over the rest of Europe, made its way into the US. Indeed, Tiramisu has an empire of its own, though the recipe itself is at most 35 years old. Once, when I made this at a party, a coworker of mine said staring into space with dreamy eyes: "I think I am in love". Indeed, that about sums up the charms of this indulgence. 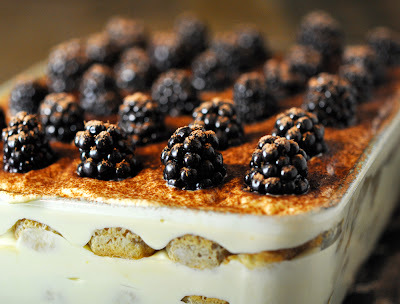 There are countless variations of tiramisu, but this one has never failed me even when I was a novice in the kitchen. There is no baking involved, and it takes about 1-1.5 hours to prepare (but ideally you'd want to keep it in the fridge for 4-5 hours more). It is summer, so I add berries. 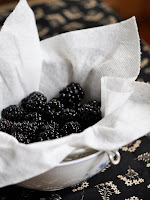 Blackberries, the most luscious of berries, are the best addition in my opinion, but you can go without if you like. 2. Wash berries and let them drain and dry. 3. 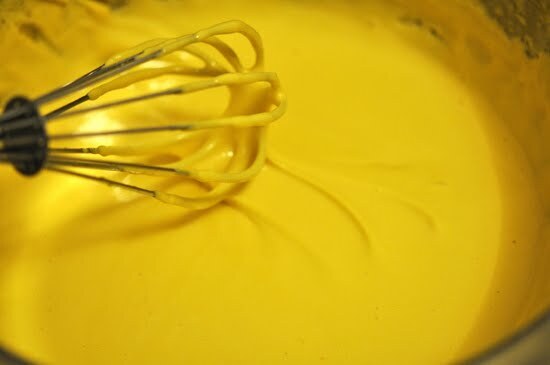 Making Zibaglione (also written zabaione, sabayon, zabajone), the traditional Italian custard. 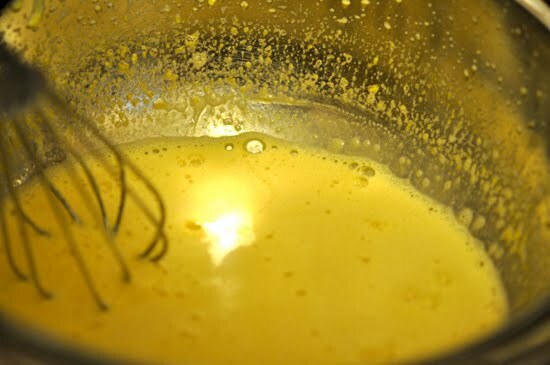 Whisk the egg yolks until foamy in the top compartment of a double boiler (or just use a metal mixing bowl and a pot for a makeshift double boiler). Add marsala wine, vanilla and 1/2 cup sugar and set this over the boiling water in a double boiler. Whisk vigorously, do not step away or you will end up with sweet omlette. After about 5 minutes, the mixture will become foamy and expand in size. 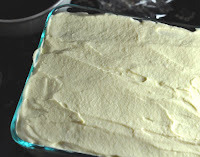 Gradually, it will start to thicken (for me it takes about 15 minutes, but times will vary). When it is about the consistency of thinner kind of mayo (see image on the left), remove the top of the double boiler from the heat and continue stirring for 1 more minute as it cools. Stir it occasionally as it continues to cool down. 5. Work the mascapone cheese with a wooden spoon in a large bowl until it is fluffy and smooth. 6. Check that the zibaglione has cooled (if not, do step 7 in the meantime). 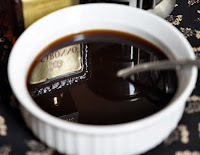 Pour cooled zibaglione into the mascapone cheese and mix the two thoroughly. 7. 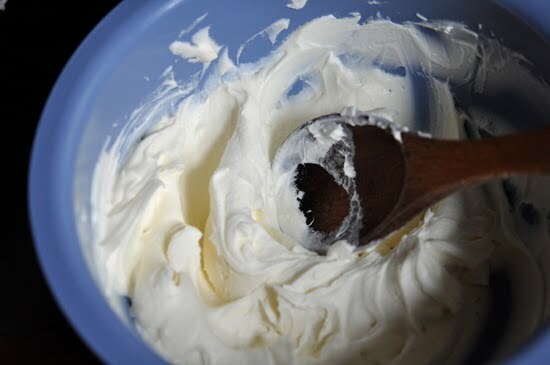 Whip the heavy cream with a mixer until soft to medium peaks form (see image, but mine were a bit on the hard side). 8. 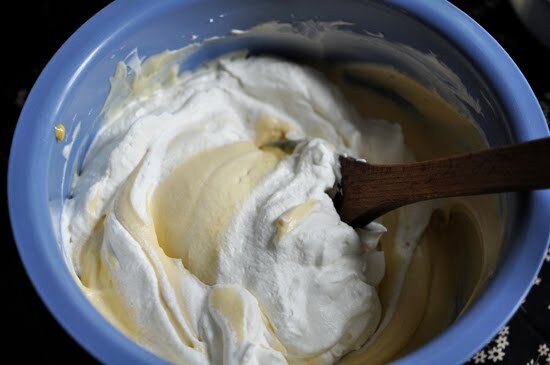 Fold the whipped cream into the mascapone mixture gently, until fully incorporated. 7. Now for the fun part! To assemble the cake, dip lady fingers into the coffee mixture one by one (about 1 second per side), gently shake extra coffee off and arrange the ladyfingers one by one in rows on the bottom of your glass dish. 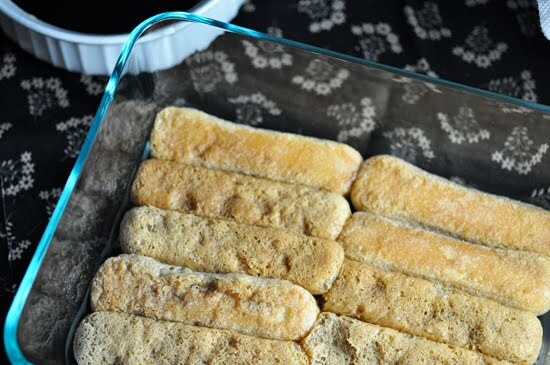 Don't dip too long (ladyfingers will disintegrate quickly), or too short (they will not soak through). If you have the right size of the dish (see Notes), do just 2 layers (I had a smaller deeper dish and did 3). So, pour half of the filling over the first layer of ladyfingers, smooth the filling with a spatula and place another layer of dipped ladyfingers on top. Add the rest of the filling and smooth out. 8. Enjoy it and be in love!!! 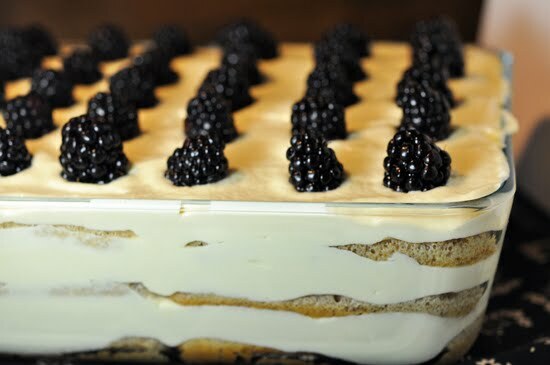 * I used a smaller and deeper pan and made 3 layers of ladyfingers, but usually tiramisu only has 2 layers. ** You can use espresso (about 15 shots), or just really strong coffee (no diner coffee, please). 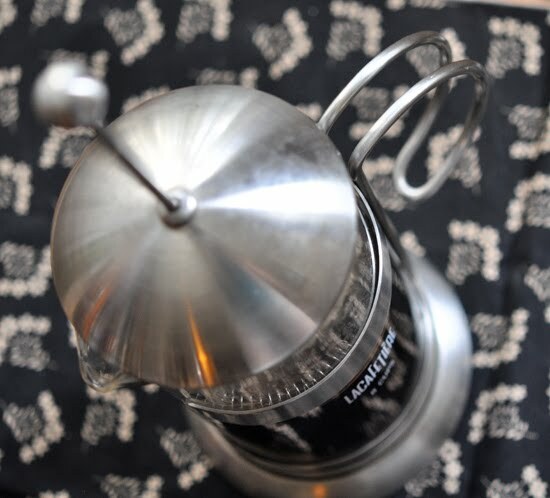 I usually use a French press, but a coffee machine should also work fine.